For a soldier, this Thracian Helmet I was far too constricting, limiting vision and other senses. But for a gladiator, this helmet was ideal, especially since it offered an incredible level of defense not only for the head but also the face. 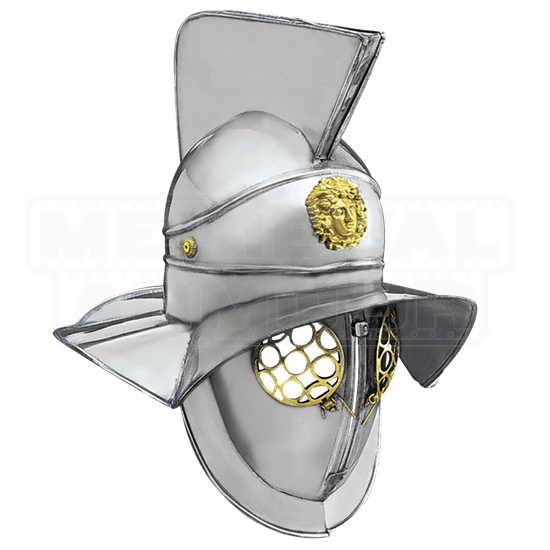 This helmet differs from a traditional Roman helmet in construction, instead featuring a typical round crown set with a tall, mohawk-like crest along the top of the helmet. This broad crest makes striking the top-center of the helm difficult, if not impossible, diverting blows away from the top of the crown. 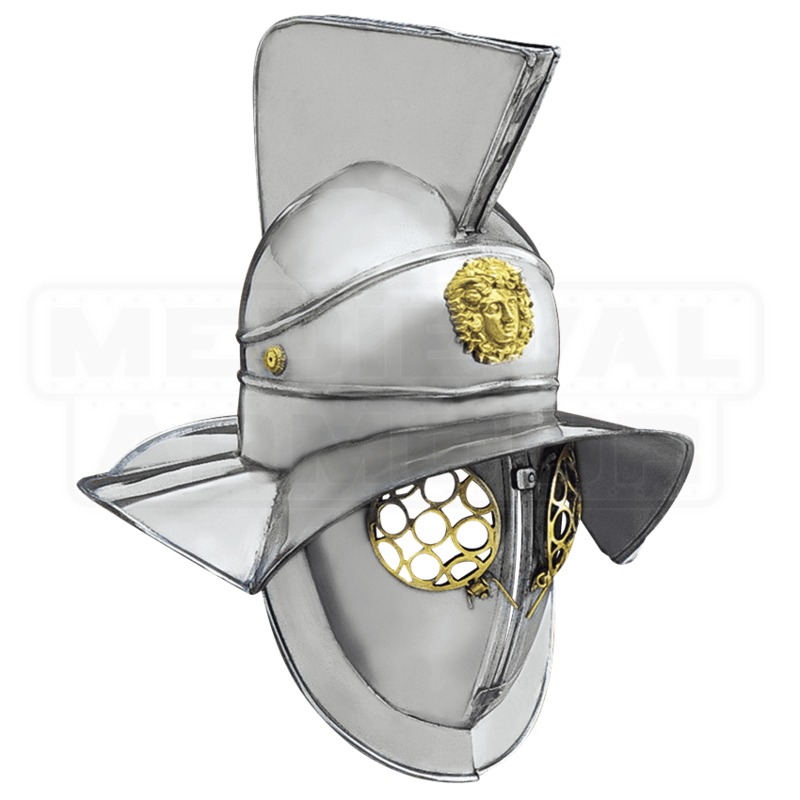 The helm also features a broad brim that encircles the crown, again for the purpose of diverting strikes and impacts away from the wearers face and neck. A mask composed of metal plates covers the face, leaving only the eyes exposed, which are covered with brass mesh lenses, to allow for adequate vision while still preventing any blows from reaching the wearers eyes. At the front of the helmet, just above the brim, is a brass portrait, one of the few decorations adorning this helmet. If you are looking for an authentic and accurate gladiator helm, than you will be well-served by this Thracian Helmet I, whether you are wearing it as a part of your ensemble or displaying it as a part of your collection.